It’s a BIG world out there and today’s young learners have BIG goals. 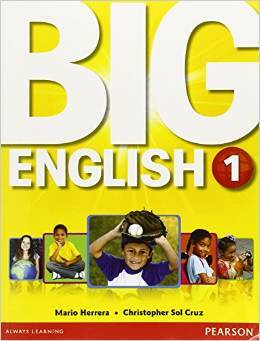 Big English engages students with fun topics and activities that motivate them to learn English. Big English aims to make sure that every student has the tools they need to succeed. Balanced development of language skills and CLIL lessons are the core of this course, but it has so much more! Critical thinking about BIG ideas and Culture Connections challenge students to learn and think about the BIG wide world around them, helping them build 21st century skills. Assessment for Learning encourages self-efficacy and develops learner confidence to think BIG. Notes: It is a digital copy with watermarks.